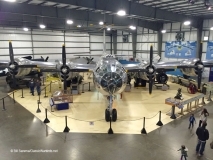 I took a ride up north recently, on a nice warm February day to see what was going on at the New England Air Museum at Bradley International Airport north of Hartford, CT. Crazy weather, 74 degrees in February, climate change for sure, but a great day to drive up and see some warbirds!! 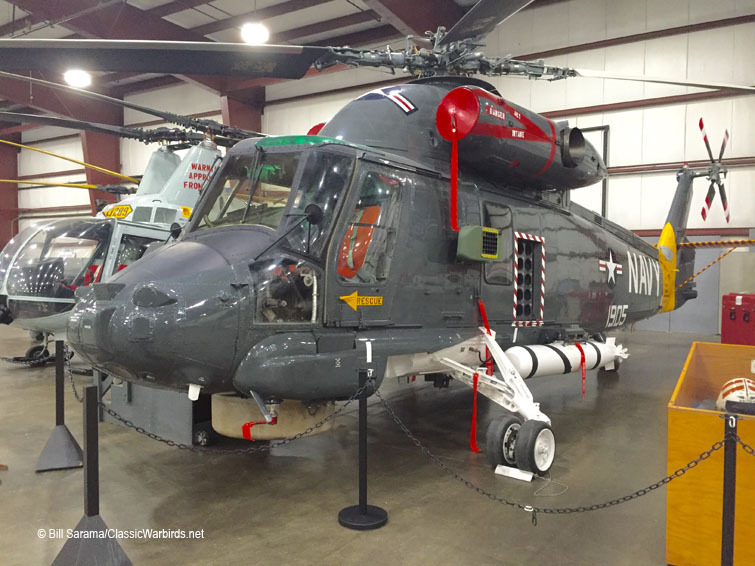 They sometimes move the airplanes around a bit at NEAM so it was a pleasant surprise when I walked into the Main Military Hanger and saw that a pretty good "New England Shuffle" had taken place. 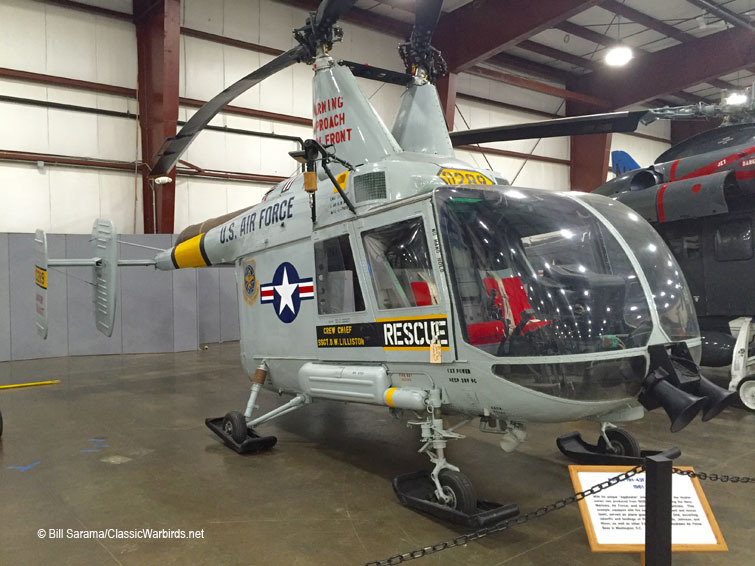 As you came in past the Gift Shop, the first newly positioned plane on the left was the USAF grey 1960 Kaman (still a local helicopter and air systems manufacturer in CT) HH-43F "Huskie" (maybe named after the nearby UConn "Huskies") #60-0289, in pristine condition. 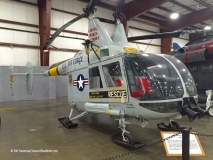 Next to it was a dark blue 1985 SH-2F Navy "Seasprite", also a Kaman product. Right in the middle of the hanger floor was the large Sikorsky CH-54B "Tarhe" heavy lift helo that was assigned to the CT Army Guard Aviation Unit in the 1980s, on the other side of the north-south runway, across from the museum. 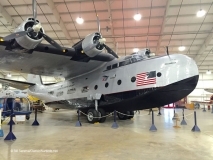 The Tarhe was noted for lifting and attaching a bus-sized passenger compartment, or like the current heavy loads as a water tanker for fighting forest fires. The lift is controlled by a Loadmaster in a special control cabin facing aft. Working our way to the left rear corner, we had our old friend, the 1972 McDonnell-Douglas F-4D Phantom II "Rhino" in dark green Euro-One camo. 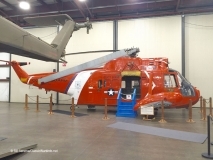 Then in a contrasting orange color scheme, we had the 1967 Sikorsky (again, a local company with its headquarters down in Stratford, CT) HH-52A "Seaguard" SAR helicopter previously based at Coast Guard Air Station Detroit, finally brought from exile in a rear hanger, and now residing at Show Center in the Main Military Hanger. They also brought over a couple of Fast Movers and placed them in the Center Aisle: the Lockheed F-104C "Starfighter", restored in a beautiful bare metal glossy finish and a local bird, the North-American F-100 Super Sabre, an air intercept fighter that was assigned Air Defense duty at the 103rd FW here at Bradley from 1971 to 1979 during the height of the Cold War. Off on the right were three warbirds: the Sikorsky S-39 Amphibian; a blue 1944 Grumman / General Motors FM-2 Wildcat and a grey 1943 Grumman F6F-5 Hellcat. Finally some heavy metal that don't get moved around much, were in the rear Civil Hanger: the beautifully restored 1942 Sikorsky VS-44A Flying Boat "Excambrian" and the 1947 Eastern Air Lines Douglas DC-3 with the Eastern "Great Silver Fleet" lettering on the side fuselage. 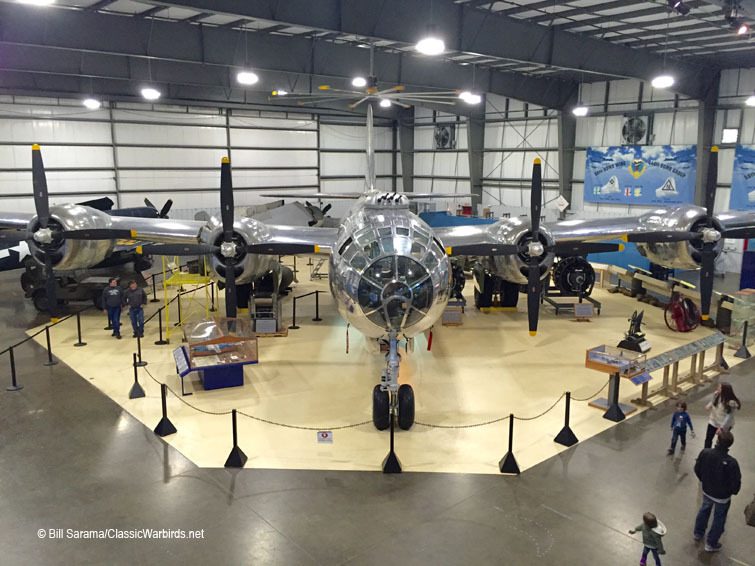 Although there were a lot of airplanes to see at NEAM inside the hangers, on the grass and in the Restoration Hangers, my favorite plane, now in its own specially built display hanger, is the Boeing B-29A Superfortress heavy bomber "Jack's Hack", recently restored in a glossy bare metal finish and in colors from the 58th Bomb Wing / 444th Bomb Group. 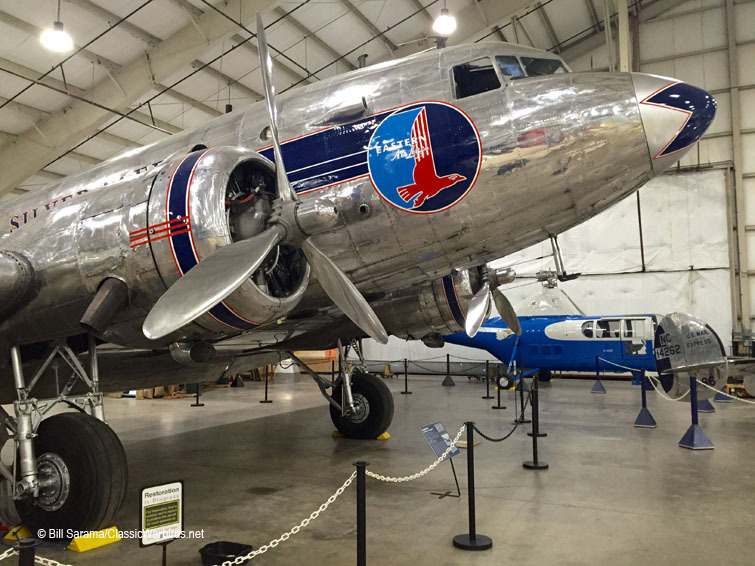 But I still miss not seeing the USAF RB-47 Recon bomber and the Air France "Caravelle" passenger airliner that used to be in the yard until about 1995. 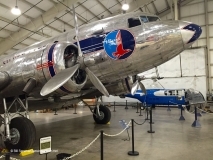 The RB-47 was reclaimed by the USAF and is now a gate guard somewhere and the Caravelle was unfortunately destroyed for scrap metal - a very bad decision by NEAM. Still it's hard to believe that a major tornado roared through Bradley on the other side of the airport by the FBO hangers in 1973, where the museum was originally located. 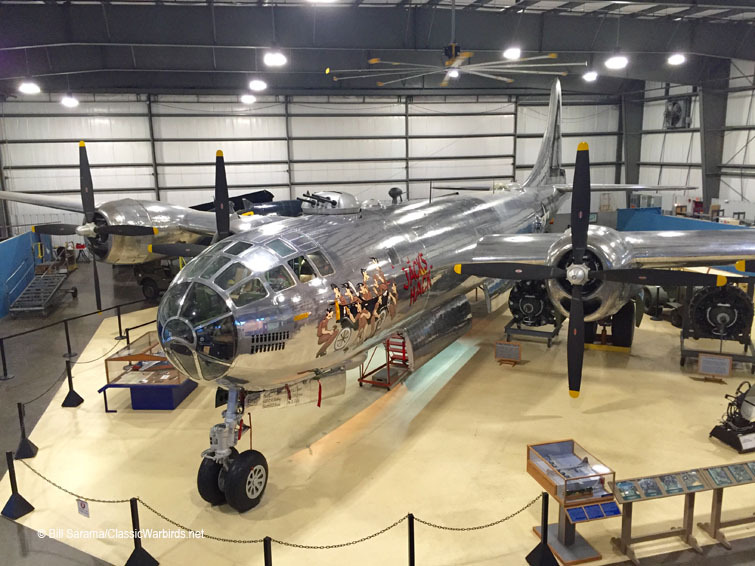 That storm destroyed almost 80% of the aircraft owned by the New England Air Museum. 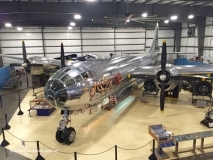 NEAM has done an excellent job in replacing its fleet of aircraft over the years with new planes with many planes being beautifully restored to showcase condition. If you're close by, plan a visit to NEAM - I'm sure they'll "Reshuffle" again for you.